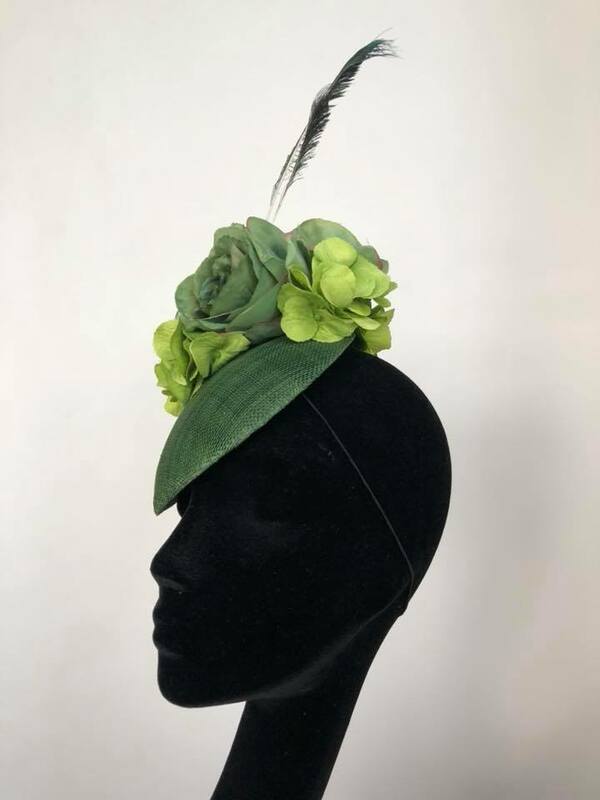 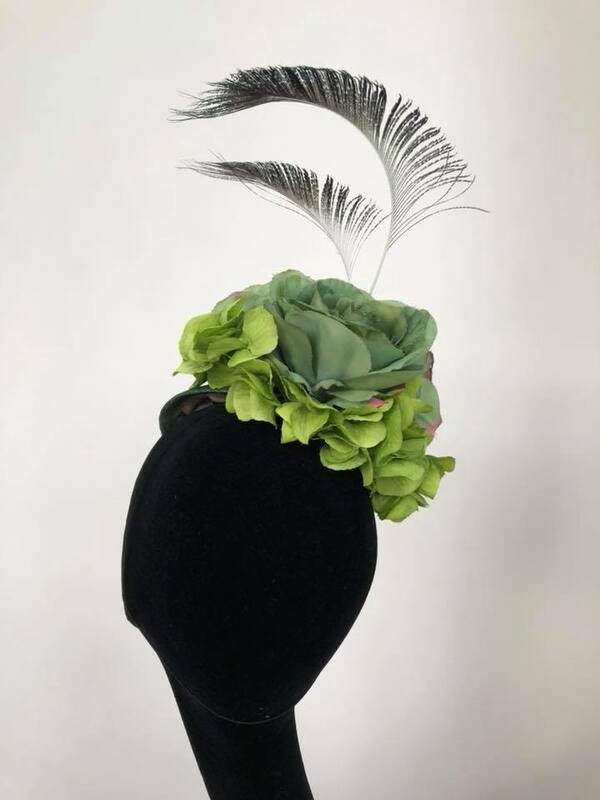 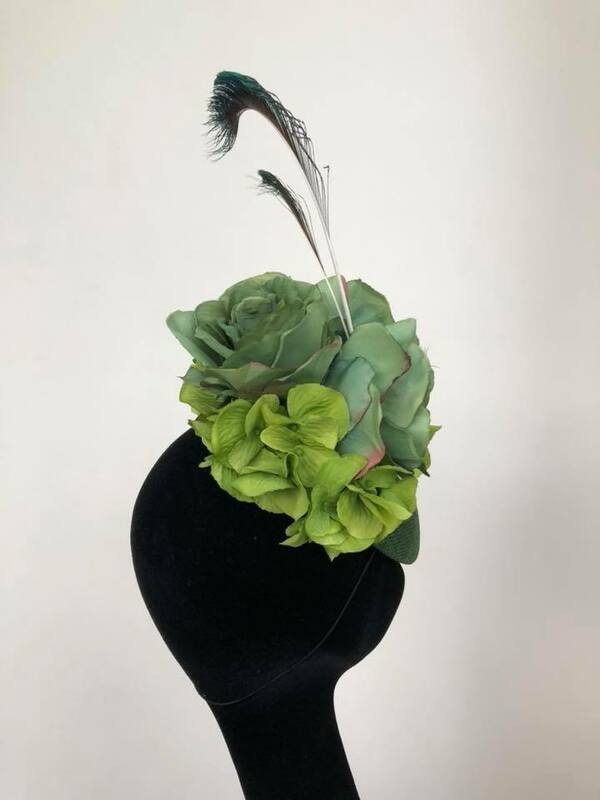 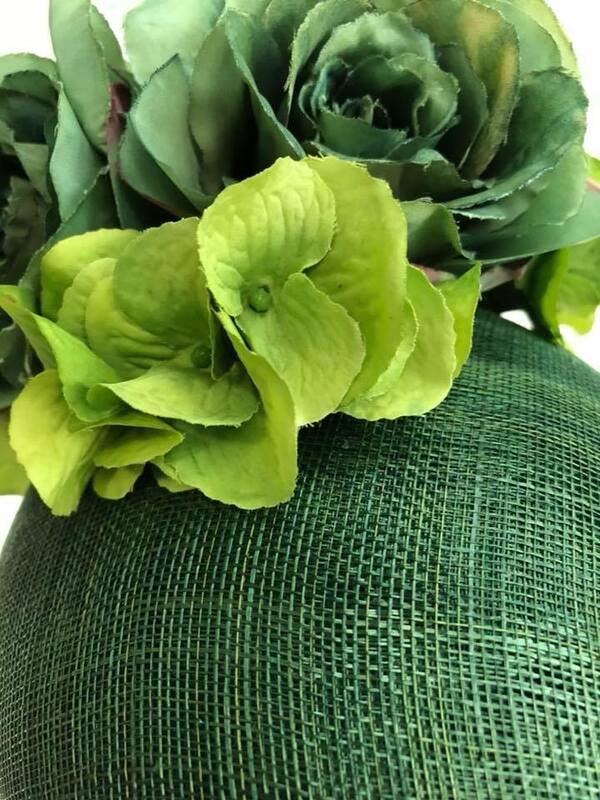 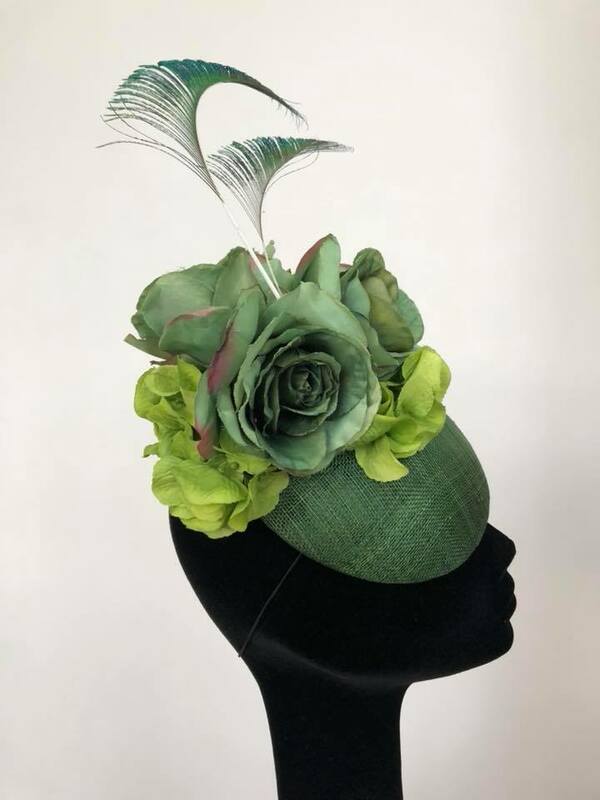 A medium, hand blocked, green sinamay "Smartie" cap base, simply decorated with a beautiful bouquet of green English roses and lime green hydrangea petals and finished with two curled peacock swords feathers!! 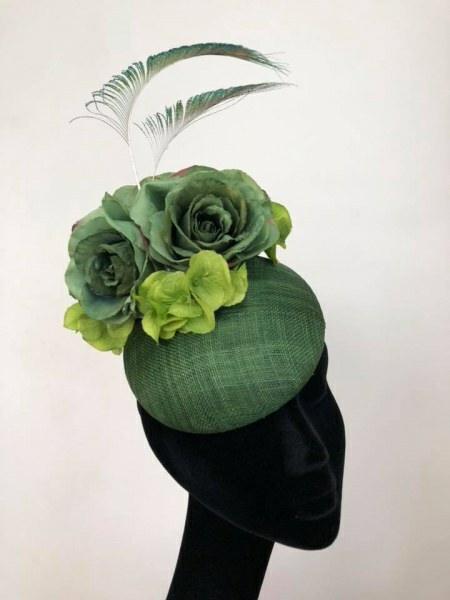 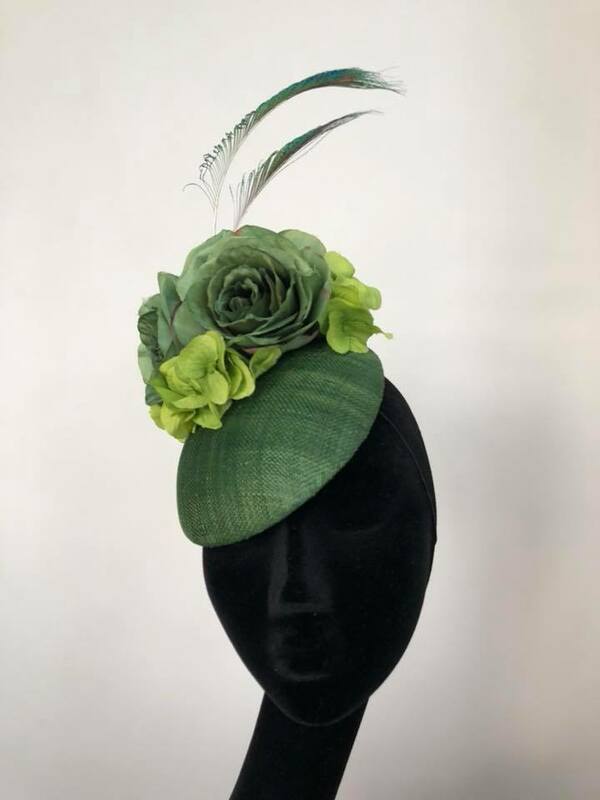 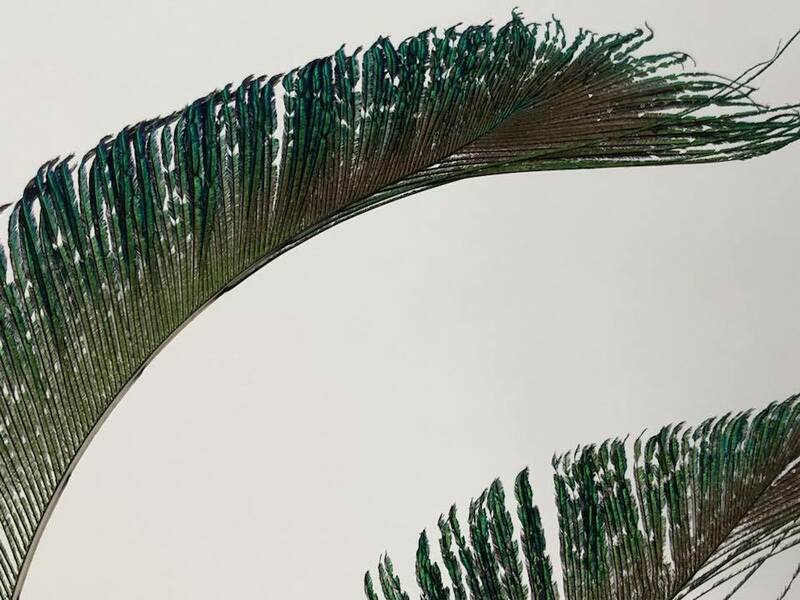 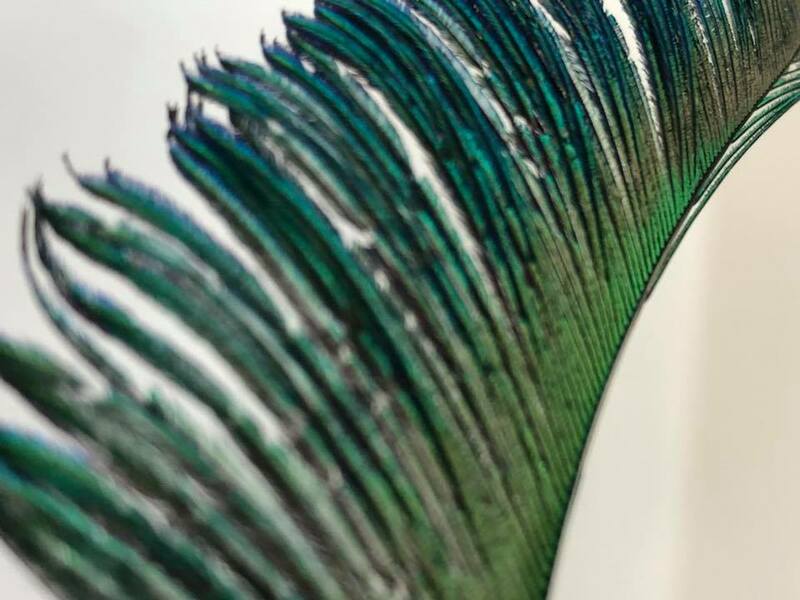 This gorgeous headpiece is completely hand sewn, lined with a lavish green satin and is worn on millinery elastic available in black, brunette, blonde or grey to match your hair colour. 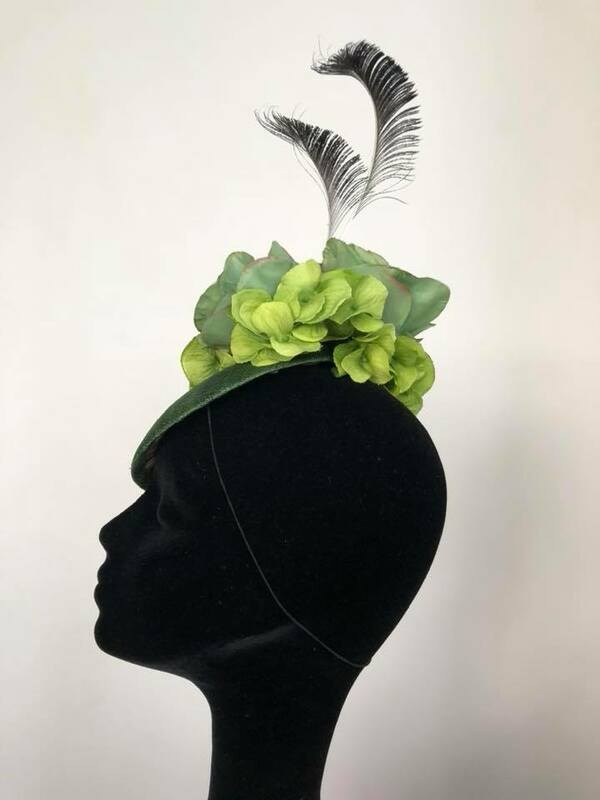 The "Banba" Hat is a stunningly simple and feminine design that will go with any outfit!